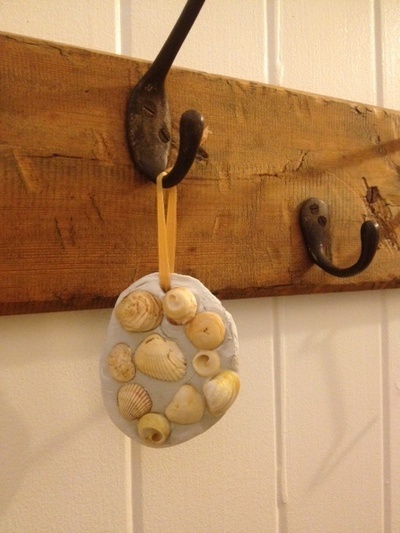 This is a simple activity for young children to make a pretty hanging shell decoration. 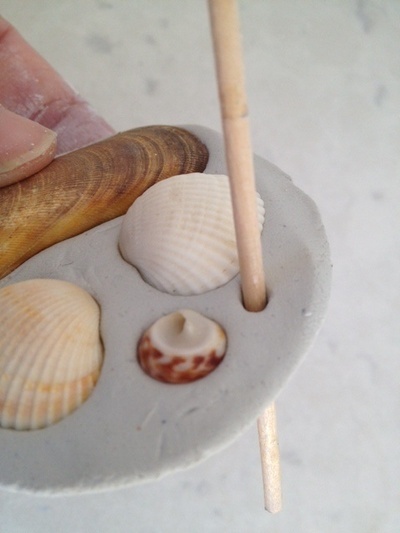 It would make a lovely Mother's Day, Christmas or Birthday gift. 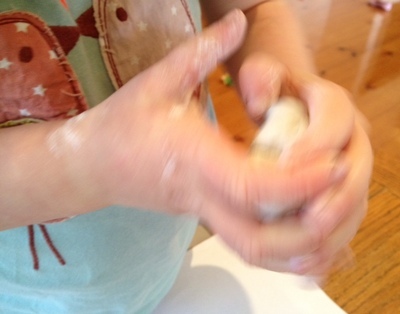 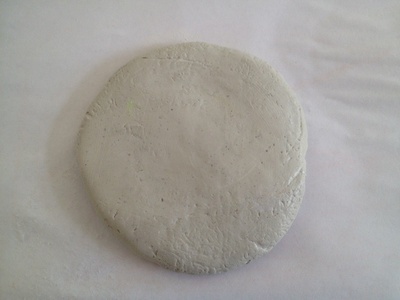 Take a small lump of clay and warm it in your hands, squishing and squeezing it. 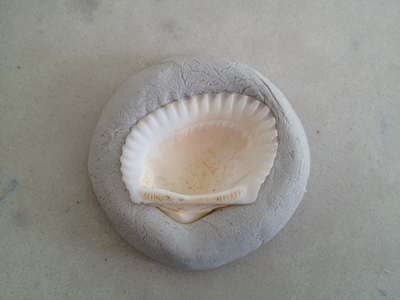 Your shell encrusted clay decoration is now ready to hang. 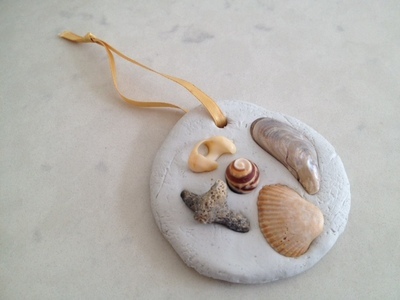 This could look pretty on a Christmas tree or homemade decorative tree. 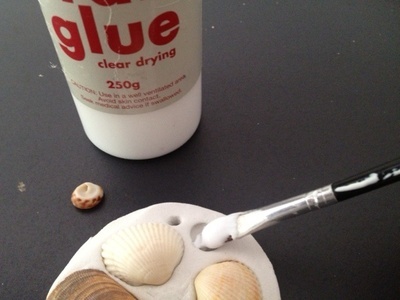 You could also try buttons or other embellishments instead of shells. 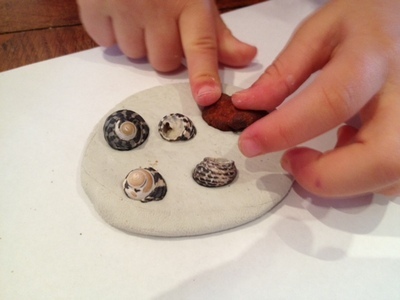 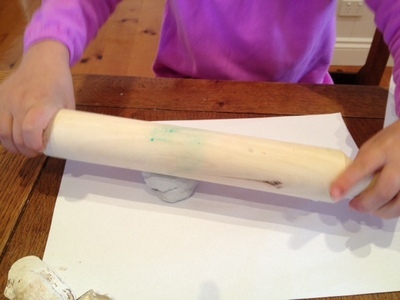 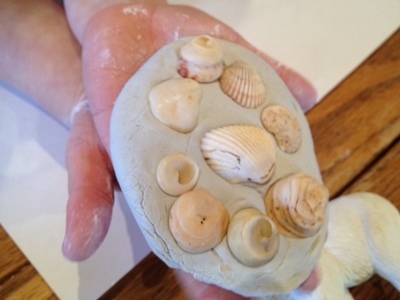 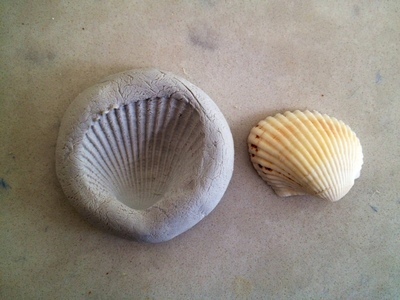 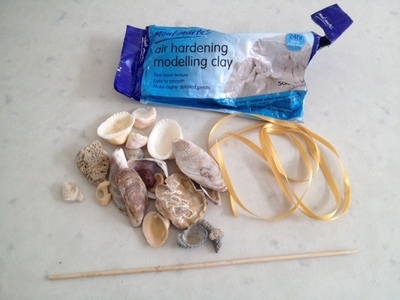 To extend the activity you can have fun pressing ridged shells into clay to make a textured impression.